Subaru brand ambassador Braden Currie. Photo credit Mickey Ross. 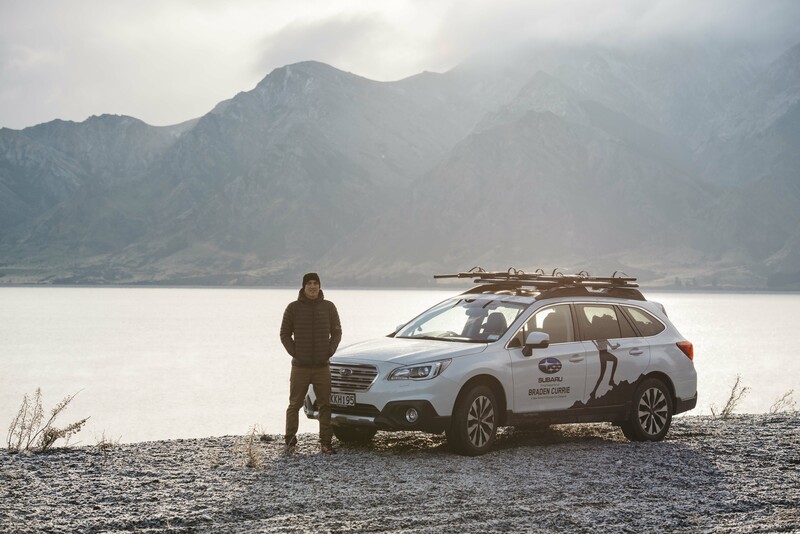 Subaru brand ambassador Braden Currie. Photo credit Vaughan Brookfield. Ironman New Zealand champion Braden Currie will arrive at the Cairns Airport Ironman Asia-Pacific Championship Cairns next Sunday, with nothing to lose and everything to gain. He has been hugely successful over the years racing off-road but his break-through Ironman win in March proved he can be just as unbeatable on-road. 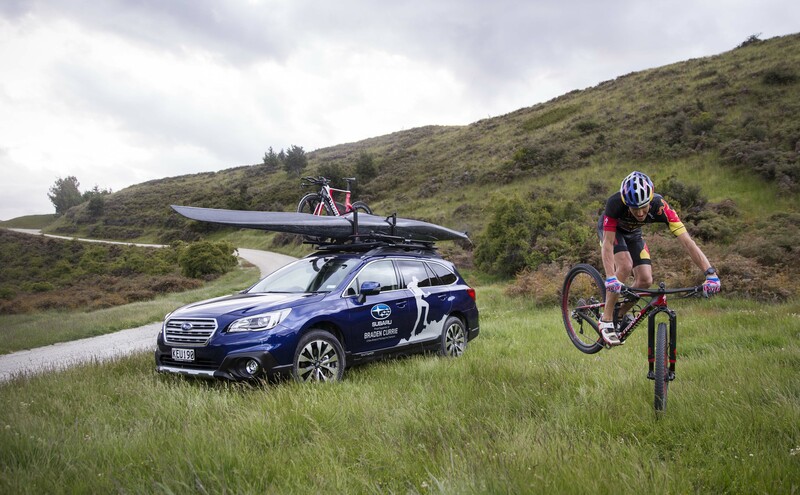 A Subaru of New Zealand brand ambassador, Currie is a three-time Coast to Coast champion and has enjoyed some down-time recently after a heavy summer of racing and is now back into full training load. Currie says the Subaru Outback is the perfect vehicle for everything he does - both as an athlete and as a dad to his two kids. “This summer I was racing every couple of weeks throughout New Zealand. The events ranged from XTERRA [off-road triathlon], to Coast to Coast, to half-Ironman to Ironman. Every event required a different set of gear that I needed to take with me, and the Outback gave me the ability to carry everything I need easily, at the same time as fitting in the family. We also took the Outback on a tour of the North Island for the entire month of April, driving from Wanaka to Rotorua, taking in the East Cape, Taranaki, the Marlborough Sounds and the Abel Tasman before returning home. When covering such massive distances and towing a camping trailer, the difference between it being enjoyable, or just being a slog, came down to the car. The kids were happy, the Outback was smooth, comfortable, warm and ultimately the best car we have ever driven. I am honoured to represent Subaru and drive an Outback. It is our number one choice of car for both adventuring and as a family vehicle,” Currie says. While he describes winning Ironman New Zealand as one of his career highlights, Wanaka’s Currie entered the Taupo-based race with no expectations. Cairns will require a different game plan. “Mostly I’m looking forward to see if I can push my body a bit further at Cairns. I haven’t got a specific goal but I am looking to race the event from start to finish and see what I can do. It is pretty important for me because I need to earn extra points to guarantee I qualify for Kona [Ironman World Championships] and it is the only other Ironman event I have on my calendar,” Currie says. Due to its status as the Asia-Pacific Championship and also courtesy of its spectacular bike course, Cairns, has attracted some sizeable competition for Currie. The event’s defending champion Tim Van Berkel and last year’s runner up and current Ironman Australia champion David Dellow head up the Aussie contingent. While veteran Kiwi legend Cameron Brown will be out for retribution after Currie stole his New Zealand Ironman crown earlier this year. Oceania Ironman Regional Director, Chris Price says the cross Tasman rivalry always brings the best out in both countries. “Braden Currie’s win at Ironman New Zealand makes him one of the favourites at the Cairns Airport Ironman Asia-Pacific Championship Cairns and the Aussies know they will have to be on their game to prevent him clocking up back-to-back Ironman victories,” Price adds. Currie is mainly looking forward to racing some of the Aussie greats, “as its always a bittersweet contest when you are fighting it out with a nation that breeds fiercely competitive athletes. I could say I have a game plan, but I’ll probably just race as hard as I possibly can,” he says.